I've been working on this little cutie for a couple weeks. It's another Bit of Whimsy bunny. She's really not that difficult to make--it's just a matter of making time! She's been sitting around for days waiting for a face, and I finally got it done today. I guess the motivation of having something to add to "Make Something Monday" got me moving. I'll be listing her on Etsy as part of a challenge to make something with a flower theme. Since the theme is open to interpretation, I thought the fabric in her romper would qualify her, but I wanted to add a little something extra. So I added the felt flower to her ear for a little ornament. Isn't she sweet? Even my husband conceded that she is pretty cute. I think she needs a name, though. So feel free to suggest names and maybe I can find one to use for the listing! I was shopping for a few new clothes for Holly the other day and noticed some really cute sweater dresses in the stores. I didn't actually get any because the one I really liked wouldn't have fit her for another 2 years, probably. But here's a giveaway for a dress that would fit her now! Plus it's really adorable. I can just picture her chunky legs sticky out from beneath this dress. And doesn't this dress look so cuddly and warm? Talk about a perfect winter dress! 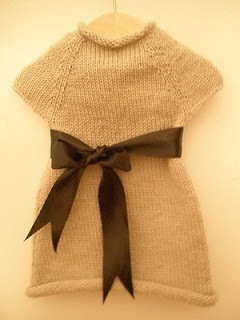 Mod Mom Shops is giving away this adorable dress from Wren on Etsy. Just visit her blog now to sign up. Hurry, though, it ends this evening! Here's my second time participating in Make Something Monday. I wanted to try something new, so I found a couple fabric postcard tutorials online and followed along with them. I like how it turned out and plan on using it as a prize I have to contribute to a creative challenge I'm participating in on Etsy. I tried to use another tutorial about printing on paper to make the back of the postcard look better, but my printer is running out of ink and the paper/fabric kept getting all mangled up. I did finally get it to run through, but the ink wasn't dark enough. So I wound up just writing on the back because I wanted to finish it today. This meets the requirements for a postcard and could actually go through the mail. Be sure to check out this adorable giveaway if you have a little girl in your life. Don't forget to leave a comment on the post so you have a chance to win the kerchief that tops the outfit off. 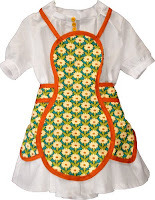 It's a pretty little dress with an adorable apron topper and a dolly helper. Well, I've been playing around with my background and things here. I managed to lose all my links and descriptions in the process. I discovered that Google keeps a cached copy of the page for its search engine, though. So I was able to copy all my important stuff back off the cached copy. Thank goodness! My colors aren't quite to my liking here yet, but I think I will leave it to another day to play with. Tired of messing with it now. Let me know your opinions of the new header and background if you want to. And I made an updated button, too! I decided to join Go Graham Go and Jolly Mom with Make Something Monday. I've been playing around with composition books lately. I've always liked them better than notebooks, so the idea to pretty them all up and make them both attractive and useful appealed to me. First I played with scrapbooking papers, and I liked how that turned out, but I also wanted to try making fabric covers for them. I'm trying to get this cover like I want it, but I think it needs a bit more playing with. I like the snap closure on it, but I don't think it feels sturdy enough right now. I think I will try lining the fabric with plain muslin to give it an extra layer and a little more body next time. I need to add more fabric around the edges too because I'd like to topstitch the edges, but didn't have enough room to do it if I wanted to get the composition book stuffed into the cover. I like the little embroidered felt patch on it, but I might try embroidering directly onto the front of the cover next time. I had to do a little ripping out and remodeling as I was sewing it up, but in general, I'm happy with how it turned out. Just want to try another with the little modifications and see if it's what I envisioned. And here's why I don't get more done. If I can't hold Holly, then we have a little screaming Mimi on our hands. Even if I am in the same room, plainly visible to her. Even if I am in the same room and she is sitting on my feet while I stand up doing something. As soon as I pick her up the waterworks stop. What to do? At least one of my kids still thinks I happen to be the most wonderful person ever, ever, ever. I just won this Puffy Dog from one of A Wrestling Addicted Mommy's giveaways! So I just wanted to take a minute to give a big thanks to both Wrestling Addicted Mommy and Rocket USA for offering this prize. 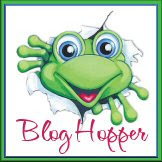 You may even want to head over to her blog because she is offering several more giveaways that are still open until midnight tonight. Hope you win something! School was on a two hour delay this morning for snow which allowed my daughter time to run up to the chicken coop to check for eggs. This is her new daily dose of excitement here in the country! I was feeding the goats and heard her start yelling for me. It's so slippery up by the chicken coop that I thought she must have fallen and needed help. But no, she was shouting at finding two eggs in the coop and her extreme delight was in finding one of them was green. Now I had hoped for green eggs when we got chickens, but since we got them free from a friend, I figured we would just take what we were given and maybe later pick up some green egg layers. And then when we got brown eggs earlier this week, I figured we would get all brown eggs. I mean all of our hens look just alike and they were all hatched out by the same mother. Go figure, I don't understand it. I'll be posting about this later on BackYard Chickens hoping somebody there will be able to educate me a little on green eggs. (Does Dr. Seuss post there?) So yes, I was excited to see a green egg, but I restrained myself (with effort) from the enthusiastic whoops issuing forth from my oldest offspring. Where is the green egg now? In Ivy's stomach. That's right, she ate it and declared it delicious and much better than store bought eggs. She immediately wanted to wash it down with goat milk, but the only goat milk we have is in the freezer--leftover from bottle-feeding our babies when we got them. So she didn't get goat milk this morning. Kids...gotta love them. Now I promise not to turn this into the daily egg chronicles, but it's just so darn exciting to finally get those chickens producing! I do have a story about Green Eggs and Ham if anyone is interested. My mom will just love me for sharing this with everyone. Well, that was a long post. I've got to get ready now--I'm going to Joann's today! It just keeps getting better and better doesn't it. Green Eggs and Joann's! I succumbed and bought another Bit of Whimsy pattern last night. How could I not? She had an offer that you can have the purchase price of the pattern refunded if you stitch up two bears for a children's charity. So I get to support a nice cause and get a pattern that is adorable. Lookie lookie what we got!!! Our first egg! We've been waiting since June on this and starting to think it would never happen. But Monday af ternoon when I took food up to the chickens, there it was...A little brown egg laying all by itself in the nest box. And then again yesterday afternoon, another sweet little egg waiting to be collected. 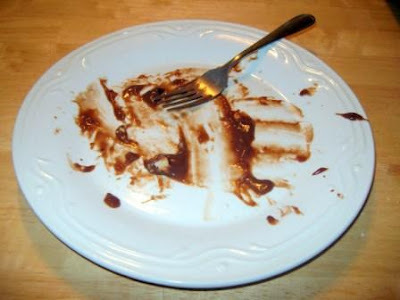 I saved the first egg to show Paul when he gets home, but this morning I fried that second one up and devoured it myself! One egg a day isn't going to quite cut it for this household, though. So hopefully that little hen will have a talk with the other gals up there and we can start collecting a couple more. We wound up with 4 hens out of 10 chicks, but we'll be putting the extra roosters to use soon hopefully. Last night I bought the cutest little pattern from a great seller on Etsy. I wanted to make my niece a gift and happened upon a mention of this seller's patterns on another blog. I went to look at their patterns on Etsy and fell in love. They are so cute! I want them all. I however exercised a little restraint and only bought one since I figured I would only make one last night. I actually got right on the pattern and had the little bunny all sewed up and she's already been given to her new owner. I did snap a couple pictures of her before she left because I wanted to show her off. So without further ado, Here's Bunny! That's her new name, by the way. 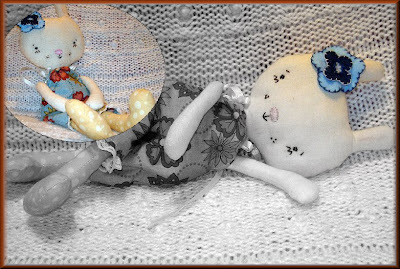 If you want to check out the patterns yourself, go to Bit of Whimsy Dolls . Not only does she sell the most adorable patterns, she sells the dolls made up if you aren't inclined to sew one yourself. I love just looking through all her creations for inspiration. She also sells her patterns on YouCanMakeThis.com. So right now, you could use the discount code I mentioned in a previous post (Penny10) to get 10% off any of her really cute patterns! Well, the week has flown right past again! That's not my room, but it's a great sentiment and you can buy it from the Freckled Hound on Etsy along with lots of other really cute wall art. 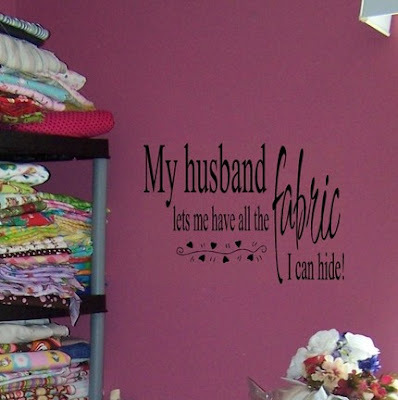 It's so true for me because my husband is quite tolerant of my fabric hoarding collecting. Here's some pictures of a project we got into this week. I saw some websites about altering composition books and thought we'd give it a go. They turned out really cute if I do say so myself, and they are a funny project to pull out with the kids! Ivy, my ten year old, really got into hers. The first one she did wasn't as detailed, but she worked a lot longer on getting the second like she wanted it. Hers are the two on the right. We used the tutorial posted on the Just a Girl blog for a jumping off point. You can view it here. Now the project did take a bit longer for us because I had to work around a baby that can't stand to be out of my arms for more than 2.5 seconds! There are also a couple cute tutorials floating around to make fabric covered books, but I haven't had the time to play with those. Hopefully I can soon because I have several fabrics that would be really cute. The next question is what to do with all of the composition books that we will be acquiring, I guess. And last, but certainly not least when you factor in the additional fussiness, we have another tooth in--bringing Holly's tooth count up to two!